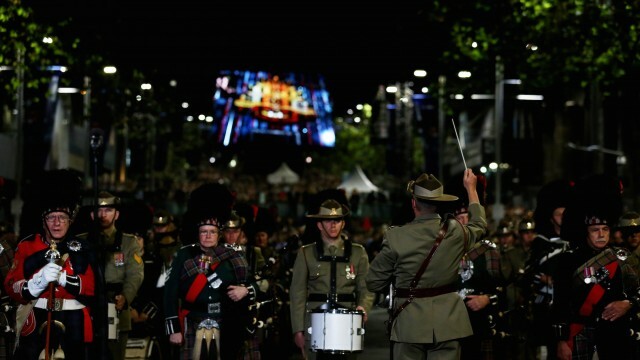 Editor PB introduces a poem by Kerry White as our Anzac Day tribute to those who gave their all for kin and country – Lest We Forget. I had every intention of writing an editorial for Anzac Day. It was going to be, much like most other editorials no doubt, a personal piece about this important day of remembrance and, more broadly on war, with a particular emphasis on how lately I have become imbued with a deeper sense of astonishment at what those women and men who offer themselves up for service must go through in the delivery of such. Of the sights they see. The acts they must perform. And the indelible imprint that such can leave upon the returned. At least those who do return. Instead, I am posting a poem. I received this piece from one of our writers, Kerry White, himself a Vietnam vet, and is a fitting tribute to today and what it means. Just normal blokes, most young fellas. Laconic, sauntering, no need to hurry. Together in arms, they heard ‘em sing. No idea of the fate of all mankind. Bad dream waking, time for hell. Summoning courage from their core. He crawls, he runs, then he scrambles. Of men in anguish as they died. The ANZAC spirit is forever alive. * “Life was very dear, but life was not worth living unless they could be true to their ideas of Australian manhood … when the end loomed clear in front of them, when the whole world seemed to crumble and the heaven to fall in, they faced its ruin undismayed.” – from Official History of Australia in the War of 1914-18, Volume 1, The Story of Anzac by C. E. W. Bean, 9th edition, Angus and Robertson, 1939. #AusPol winners and losers: Who are we kicking out for ANZAC Day?